You have many choices, but here are two great options for grilling spoonbill. 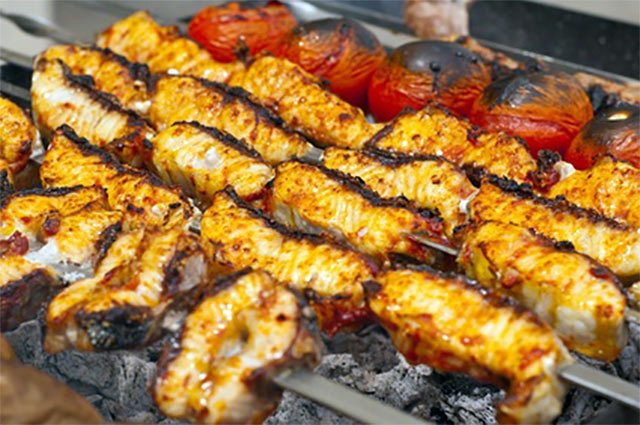 You may grill the spoonbill directly on the grates or in foil with lemon pepper and butter. Or you can let fish marinate overnight in your favorite barbecue sauce and grill it that way. My favorite way to make this is with a homemade whiskey barbecue sauce. 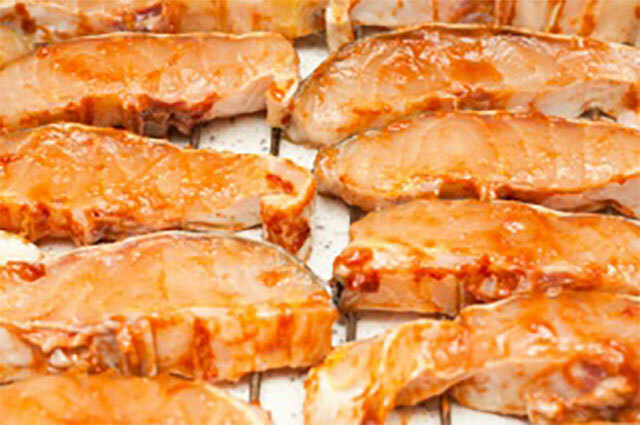 Just cut the fillets into strips or chunks and let them marinate in the barbecue sauce overnight in the refrigerator. The next day, take the fish out of the sauce and wrap with 1/2 strip of bacon (optional). Pin with a toothpick if you are using bacon and grill until bacon is brown. You may skewer the fillets (like below) or place directly on an oiled grate. The second way to grill paddlefish is to place it directly on the grates or put the fish in foil. When the fish is in the foil, pour some melted butter over fillets and season with lemon pepper. Grill for 15 to 20 minutes. Serve with lemon wedges. Or you may use a mixture of olive oil, salted butter, garlic powder, salt and pepper to taste in a bowl and use this to marinate the fish while cooking. Delicious.